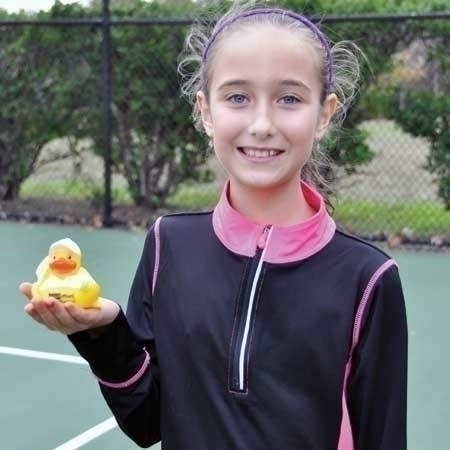 These adorable Rubber Tennis Ducks are perfect as gifts for little children or as a great conversation piece to float in a punch bowl at a tennis party. Each duck measures 3.5 inches long and 3 inches tall. The unique thing about these ducks is that they not only float, but when you turn them upside down, they flip over and always end up floating correctly. Colors will vary as they are packed randomly.